Marketing has been around since the first products were sold. Universities have offered advanced degrees in marketing for many years where the trends and techniques of advertising and promotions were isolated and studied for various brick and mortar businesses. The internet has expanded the scope of marketing and also made marketing trends clearly visible even to non-experts. Marketing is about positioning your products for maximum sales. Amazon has taken a huge step in online marketing with introduction of the Amazon Chase Credit Card. Amazon is a huge consumer marketplace where you can find almost any product you can think of. Not only will you find that product – you will find related products and competing products as well. The driving force behind Amazon’s amazing growth is the competitive pricing and free shipping on many of items sold. Amazon moved quickly to partner with other online merchants and with offline manufacturers to provide an ever increasing range of products available to site visitors. For several years, the only competitive edge Amazon lacked was the option for buyers to use a payment method other than a credit card. The popular payment processor, PayPal, is owned by eBay which is Amazon’s biggest competitor. Amazon’s response was to offer its own branded credit card through Chase. Credit card account holders receive top bonus points when they use the card to make purchases on Amazon.com. Rewards can be purchase discounts or redeemed as cash back with 5000 points. This card can be used for purchases anywhere a Visa card is accepted (which is almost anywhere in the world). For purchases at participating gas stations, restaurants and drugstores, you earn 2 points for every dollar spent when using the credit card. At all other merchants, the Amazon Chase credit card earns 1 point for each $1 charged. However, if you are shopping on Amazon, you earn full 3 points for each dollar spent. When you receive your new credit card, your first purchase at Amazon will also reward you with a $30 credit on your credit account. That could easily pay for that first item you buy. Two options are available – the Signature Card and the Platinum card. The Signature credit card account has the lower interest of 13.24% and is available to consumers with excellent credit ratings. The Platinum card will have an APR of 18.24% or 21.24% depending on creditworthiness. Other fees on both Amazon Chase credit cards are similar to those offered throughout the credit lending industry today. For the Signature Amazon Chase credit card there is no fee for going over the spending limit while the Platinum card has a $35 over limit fee assessed. Point earned can be used one you reach 2500 points which translates to approximately $830 spent on Amazon. With the number of products available on Amazon, it is possible to buy almost anything you need at a price high competitive and with free shipping included. 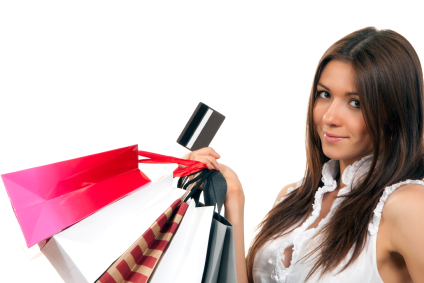 If shopping online is something you do frequently, bonus points can add up quickly. If you use credit responsibly there is no disadvantage to use of the Amazon Chase credit card. The terms are in line with offers from other credit issuing banks and the ability to accumulate points on a site you use frequently is a great option. You can quickly build points or earn cash back with the Amazon Chase credit card. Most of the necessities we buy every day are sold at competitive pricing on Amazon’s website. High shipping costs may not be a consideration for most purchases as the majority of items on Amazon can qualify for free shipping. This credit card can also be used for all other purchases you make from any merchant accepting the Visa logo. If you shop at Amazon and you want only one credit card, this is the perfect option for you.